Valid for one admission to King Lear, Sunday, March 11th at 3pm. 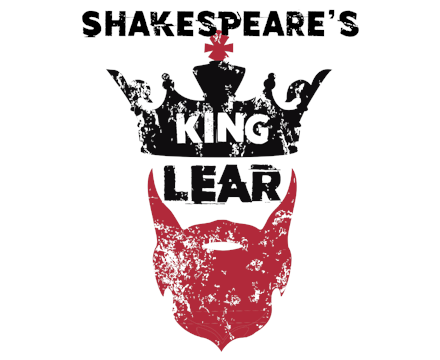 Wilmington’s award winning theatre company Dram Tree Shakespeare returns to the warehouse on Front Street, the scene of its magical take on The Tempest, for a riveting experiencing of Shakespeare’s enduring classic: King Lear. The aging King Lear decides to divide his kingdom among his daughters, two of whom reward his generosity by turning him out and seeking his death. Lear wanders homeless and destitute as chaos and villainy surround him. Finally, aided by his one loving daughter, he begins to understand what it is to be human. Jerome Davis of Raleigh’s Burning Coal will bring the King to life. Jamie Rocha Allan, whose credits include the Royal Shakespeare Company in England, makes his Wilmington debut directing what will surely be an unforgettable theatre experience. Prepare to be transported to the world of one of Shakespeare’s greatest tragedies, as only Dram Tree Shakespeare can take you!